An interesting match on paper: on one side, an undefeated boxer with 49 consecutive wins under his belt and who should be a retiree at 40 years of age. On the other, a mixed martial arts athlete who struts like a peacock in Irish plumage on the ring and who was homeless up to 10 years ago. Both are excellent in their respective field and both have much going for them. 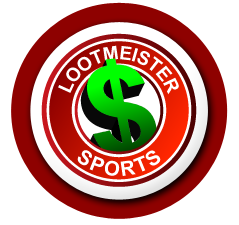 With €400 million in PPV earnings, last Saturday's match was most probably the highest earning match in history. With two widely different characters as Mayweather and McGregor, this clash in sporting disciplines was the most anticipated sporting event this year. "[But] as far as real fighting -- true, pure unarmed combat -- Floyd don't want none of this. Give Floyd a shout; tell him I'm coming. Tell him to run around Showtime offices. I want $100 million to fight him under boxing rules because he's afraid of a real fight." These words echoed his earlier sentiments where he had hinted at a potential match with Floyd Mayweather. Ball back in Mayweather's court. The boxer promptly sat up straighter and started sniffing the air like the good businessman that he is. He decided it was a golden business opportunity and decided it would be worth his time. Boy, was he right. Let's take a closer look at the fight which is still making headlines today, one week after the match. Although we've already spoken about the motives behind the match, let's talk numbers now. The prize fund was €300 million to be split €210 for Mayweather and €90 for McGregor. The stake? Apart from the millions netted from the game, the winner will also win the WBC 'Money' Belt which contains 3,360 diamonds, 600 sapphires, 160 emeralds and around 3.3 pounds of 24-karat gold, with both their names etched on it. The odds never favoured the underdog. McGregor is a UFC champion with 21 wins and 3 losses while Mayweather is unconquered in the ring. The game has echoes in the past, with similar bouts between boxing and UFC champions occurring during the course of the years. We think it's the hope for an unexpected outcome which attracts so much attention, amplified all the more by today's sensationalist media and catchy headlines. The hype surrounding the game was astounding, which is what perhaps earned it the title of "the biggest boxing match in history". Everyone loves an underdog and the chance to see an underdog take on someone like Mayweather and win was perhaps a little too much to miss. Las Vegas thrives in the limelight, putting on an extra dose of glitz for the match of the century. The contenders, covered in sponsored garb, go for their weigh-in one day before the event, to cheers and boos from the crowded arena. When the day of the match arrives, the arena is filled with men and women who could afford the $3000 plus ticket to sit and watch a game they know will have repercussions in boxing history. It's a rather subdued crowd at first, with big-name celebrities the likes of Jennifer Lopez, Chris Hemsworth, Leonardo di Caprio, Orlando Bloom, Charlize Theron, Jamie Foxx and so on and so forth in attendance. The first bell goes and the spectacle begins. Thinking about it, it is not too different from ancient times when Gladiators were pitched against each other for the amusement of the crowd. Granted, there's less blood and no one dies (this time), and Las Vegas is far from being the cradle of civilisation, but the hunger for the fight is pretty much unchanged. Mayweather's strategy was simple: tire McGregor out in the first rounds, then go for the kill – figuratively speaking of course. Mayweather keeps his hands up in a defensive stance and McGregor manages to get a couple of well-aimed hits in. This goes on for the first few rounds with the Irish man looking sharp and tactically superior. 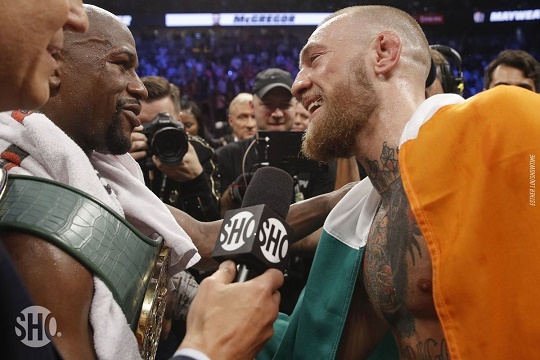 The defensive stance adopted by Mayweather naturally infuriated McGregor who even dropped his hands at one point to tempt Mayweather into some sort of contact, a tactic used in MMA fights. Mayweather does not fall for it however. At this point, McGregor is ahead on the scorecards – at least up until the third round. But tire he did. Halfway through the 10 rounds, McGregor starts slowing down, allowing space for Mayweather to land a couple of definitive hits. The 9th and 10th round however see McGregor leaning on the ropes, his face red and swollen. It is very clear that fatigue has finally caught up with him. 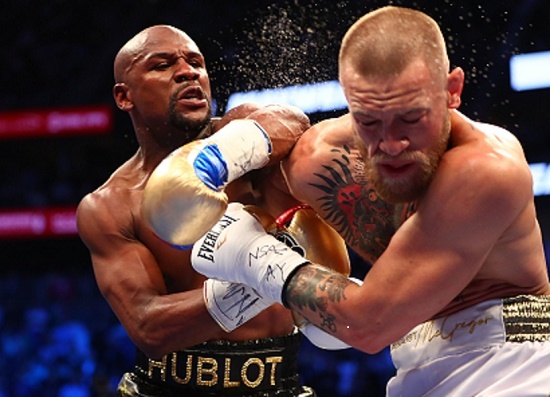 The referee intervenes with 1.55 minutes to spare and claims Mayweather victorious. "They should have let me keep going. Let the man put me down." McGregor stated after the game, describing his opponent as being composed, rather than powerful or fast. Mayweather had this to say about his opponent: "He's a tough competitor. I think we gave the fans what they wanted to see. He's a lot better than I thought he was. But I was the better man tonight." Merciful. It had been 7,683 days since Floyd had last lost a fight, during the Olympic boxing tournament in 1996. He never lost a match in his professional career and he has now said he will retire, although we have heard that before. Far from being the mismatched fight people touted it to be, McGregor vs Mayweather was an exhilarating clash of the titans. While we can only speculate whether we'll be seeing them again anytime soon, we don't think this was the last time we've heard of this power duo.